﻿ Kolarov: "Cristiano Ronaldo is something special and different"
14.09.2012 » Kolarov: "Cristiano Ronaldo is something special and different"
Kolarov couldn't hide his excitement earlier this week, when approaching next week's Champions League opening clash, between Manchester City and Real Madrid. The Serbian left-back knows he'll have ahead of him one of the best players in the game, as Cristiano Ronaldo certainly won't lack motivation to leave his mark against an historic arch-rival of his previous club, Manchester United. The UEFA Champions League couldn't have asked for a better opening game than what we'll be having on this Tuesday's Gameday 1, with the Spanish champions Real Madrid, hosting the English champions Manchester City. The two giants hold high expectations for this Champions League edition, but fate has decided to cross both teams' paths in Group D and still include the German and Dutch champions, Borussia Dortmund and Ajax respectively. With such a demanding group stage, Kolarov is well aware of the difficulties to get through to the knock-out stage and the opening game against Real Madrid will surely be one of their most anticipated and challenging matches this season. As for Ronaldo, Kolarov expects nothing else but brilliance from the Portuguese superstar, even though he remains confident that Manchester City has what it takes to put Real Madrid into trouble. You can pick a live streaming to watch Real Madrid vs Manchester City live, this Tuesday night, in Ronaldo7.net. With both Manchester City and Real Madrid having tough away games this weekend, as they complete another fixture in their domestic leagues, one would expect not to hear any player already previewing next Tuesday's clash between the two sides. However, the expectations around such a big game are so high that several players have already decided to start disclosing their thoughts on the upcoming match. One of them was Aleksandar Kolarov and he was kind enough to send some praises to Real Madrid star, Cristiano Ronaldo. Kolarov: "Cristiano Ronaldo is something different... The entire world knows him already and so there is not much left to be said about him. He definitely is a special player and alongside with Barcelona's Lionel Messi, he is the best player in the World. That being said, having the opportunity to play against someone like him will turn out to be a big test for me and the team. I'm aware that he has played for Manchester United in a recent past, so I'm sure he'll have a special motivation to score against us this Tuesday", previewed the Serbian left-back. 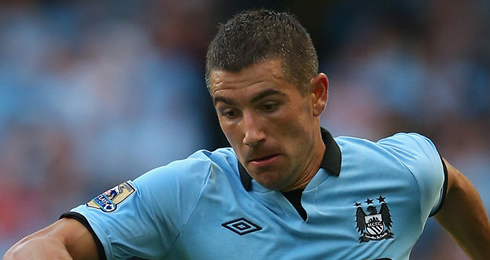 Kolarov: "However, I'm confident that Manchester City can visit Madrid and bring home a positive result. It will be a great night for the club and the fans. We are the current English champions just like they are the Spanish champions as well. I'm confident they won't have an easy night, since we have our own weapons and strengths. Everyone in Manchester City is looking forward for this game! 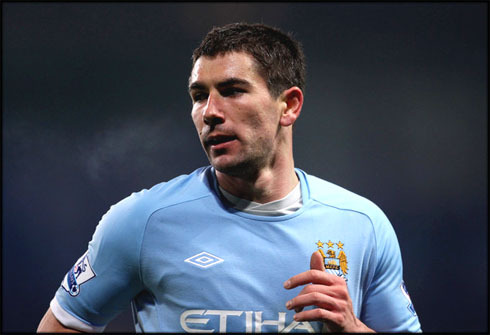 ", promised a visibly excited Kolarov, who may or may not be on the line-up at the Santiago Bernabéu. Kolarov: "We definitely want to do better in the UEFA Champions League and that necessarily means getting through the group stage. However, we've been put into a really difficult group and it won't be easy at all. This year, we need to have a better start than last season", revealed the former Lazio footballer. You can watch Juventus live stream, Real Madrid vs Manchester City live, this Tuesday night. Cristiano Ronaldo's next game for Real Madrid will an away fixture against Sevilla. The Spanish League returns this Saturday and the Merengues can't drop any more points at such an early stage of the season. 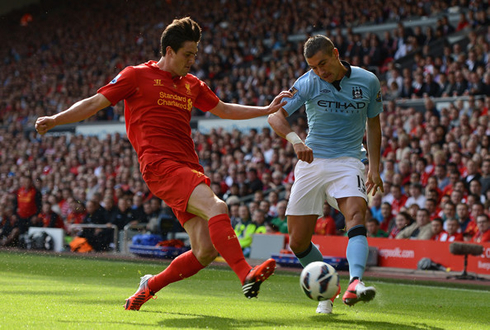 This Saturday (15-09-2012), you can watch Sevilla vs Real Madrid, Getafe vs Barcelona, Manchester United vs Wigan and Sunderland vs Liverpool, all matches provided from our football live streams section.